Introducing our new 10 1/2" Pinocchios. 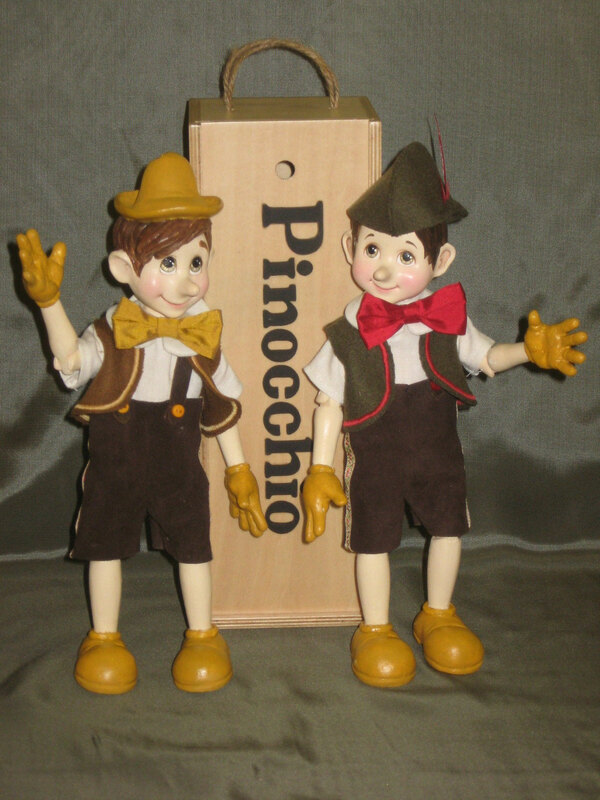 Choose between Pinocchio with a wooden hat or Pinocchio with a felt hat. Can't decide? Why not get both? The two little fellows below are the resin sample prototypes we used for our Kickstarter display. We are now working on 50 wood editions for Christmas 2015. 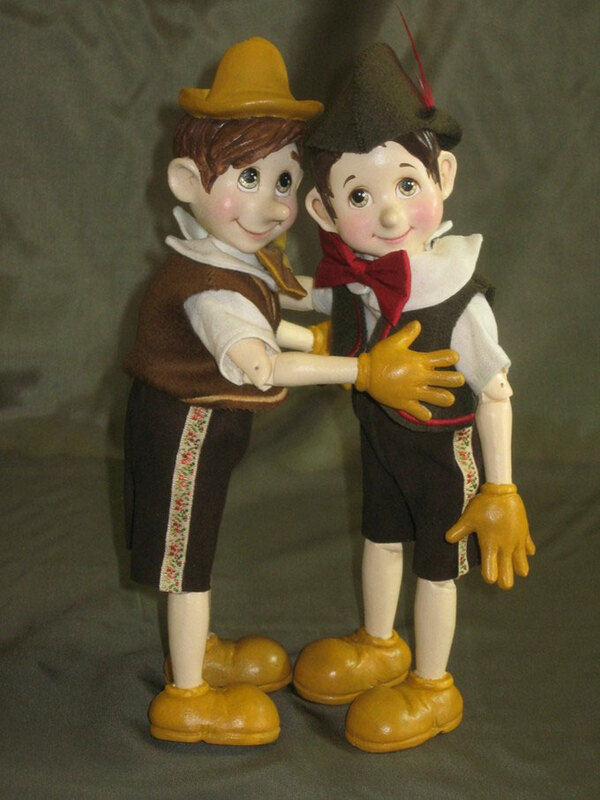 The craftsmanship of our finished wooden Pinocchios will of course be to the exacting standards for which we are known. Each of these exquisite characters is $595.00 US. Please Contact us if you require more information.